John recommends grease trap cleaning and pumping of grease tanks regularly to prevent Fat, Oil and Grease (FOG) from mixing with the water that is discharged to the sewer system. A regular schedule of grease tank pumping is necessary to prevent improper operation of the grease interceptor or grease trap. FOG can have a detrimental impact not only on your facility but on the environment as well. FOG-clogged lines can back up sewage into your establishment, and overflow out of manholes in parking lots and streets. John suggests developing a grease tank maintenance log sheet for proper documentation after each pump out. See our sample here. Regular grease tank pumping is regulated by local laws. Failure to keep up with the problem can lead to fines. We also perform repairs and new installations of grease traps and grease interceptors. 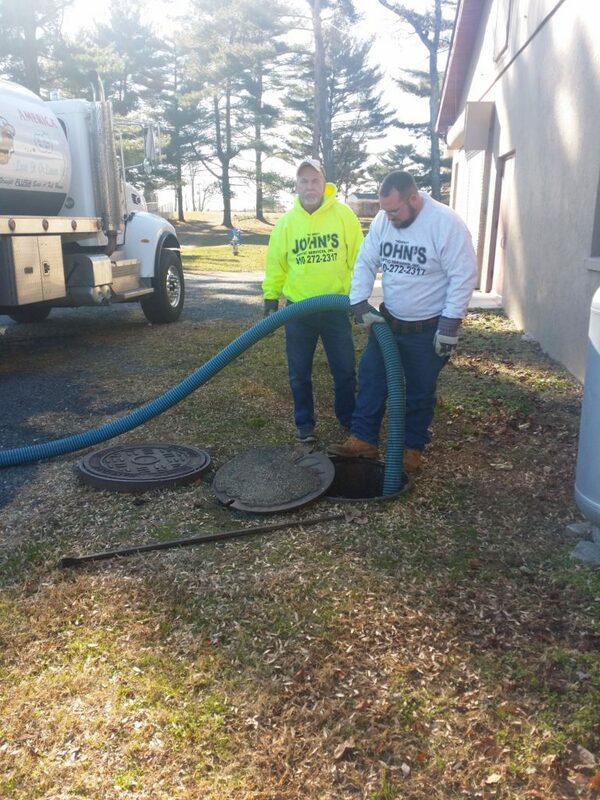 Call us today at 410-272-2317 or 410-272-2319 to schedule grease trap cleaning or grease tank pumping. Ask us about setting up a schedule to clean your commercial grease traps to keep your business running smoothly. We also offer emergency service. tank pumping, repair or installation.